Description: Darice Stick On Gems are a great way to add sparkle and bling to decorations, party and wedding favors, costumes, greeting cards, scrapbooks and craft projects. Each gem has a Silver backing that makes the color really stand-out. 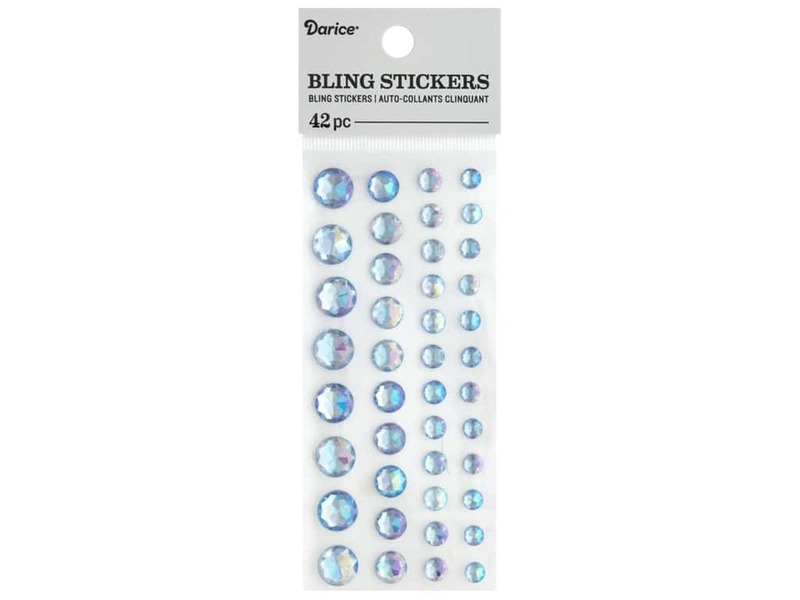 Bling Rhinestone Round Iridescent Blue 42 pc- These round bling stickers features an iridescent finish that reflects even more color. Comes in assorted sizes, approximately 4 mm, 6 mm, 8 mm, and 10 mm.